Spring is here! We’re bringing people on adaptive adventures very soon. 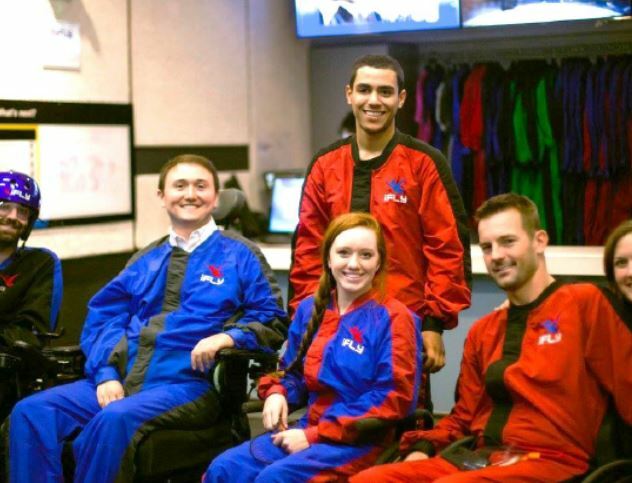 On April 30th at iFLY Indoor Skydiving in Loudoun, Virginia, we’re taking a group of people with SCI to iFLY’s “All-Abilities” night. Registration is full. To experience this adrenaline-fueled activity in the future, email us at spinalpedia@gmail.com. We’re dedicated to sharing the latest in SCI news on our social media platforms. Since the start of 2018 we’ve posted several exciting SCI-related links and news. We’ve chosen two of the most popular news links for our Spring newsletter (below). Follow us on Facebook for the latest in SCI News! 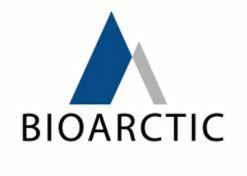 Nerve grafts have become a major area of spinal cord injury research and an exciting trial from BioArctic, a company in Sweden, is currently underway in Estonia. And a very exciting detail: They’re using humans to test the viability of their research. Specifically, they’re using a biodegradable device that’s implanted into the spinal column and filled with FGF1, a growth factor that helps with neural regeneration and healing. Patients from Sweden, Norway and Estonia are currently only allowed in the trial. Learn more about this study here. 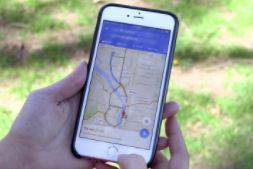 People who use wheelchairs have long complained about Google Maps’ lack of accessible routes and it seems Google has finally listened. In select cities, wheelchair-users can now scope out the fastest accessible routes. To find an accessible pedestrian route, go to “Directions” > “Options” and click the option: “Wheelchair Accessible.” Only New York, Tokyo, London, Mexico City, Sydney and Boston currently have this accessibility feature, but more cities will have it soon. 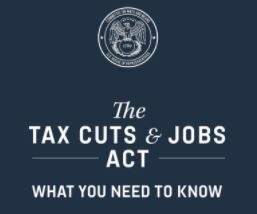 In 2017, President Trump signed The Tax Cut & Jobs Act, which includes changes that are making many in the disability community concerned. One of the most significant changes to the tax structure is the change in the corporate tax rate, dropping from 35% to 21%. This deficit is so big that many people with SCI are worried cuts to important state funded services like Medicaid, Medicare and SSI could occur. The Senate voted to lower the Medical Deduction threshold from 10% to 7.5%, another worry, and they allowed the Children’s Health Insurance Program (CHIP) to expire. To see all of the changes to expect this tax season for people with disabilities, visit our blog post on the topic here. 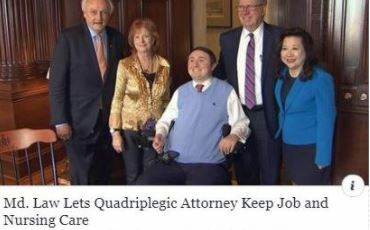 Josh Basile, founder of Spinalpedia, recently helped pass a bill (SB 660, HB 1280) that enables Maryland citizens with disabilities make a higher income and still keep their Medicaid-paid nursing and PCA services. He advocated heavily for the bill that was passed on the last day of their state legislature. We at Spinalpedia couldn’t be more proud. Learn more about the bill and watch an interview with Josh with NBC News here. This entry was posted in Community Events, News & Updates and tagged adaptive indoorskydiving, bioarctic, spinalpedia newsletter on April 25, 2018 by Tiffiny. We are excited for our first Wheelchair Cooking Video Contest! Below are all of the talented submissions from folks who still love to cook in spite of their injuries. Please vote for your favorite by posting the number of your favorite video in the comments below. Thanks for participating! Voting ends this Friday, August 4th. This entry was posted in Community Events, News & Updates and tagged wheelchair ooking on July 31, 2017 by Tiffiny.